Pictured here is Andy Oding, Building Knowledge; Brent Klundert, BK Cornerstone; Gina Mancini, Union Gas; Ben Klundert, BK Cornerstone. 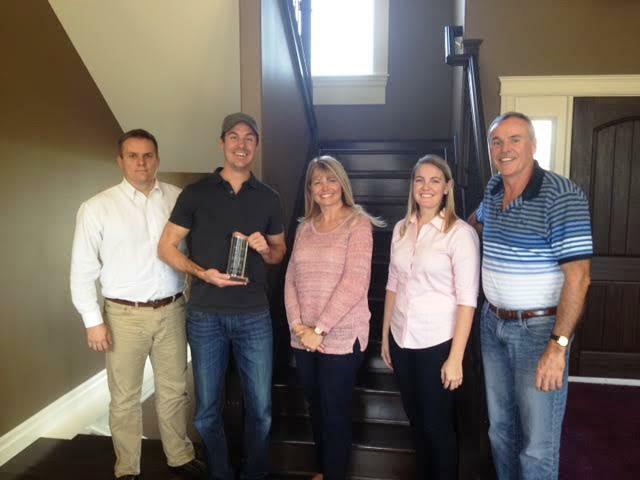 Congratulations to Windsor home builder BK Cornerstone on their successful involvement with Union Gas’s Optimum Home program and for consistently building high performance, ENERGY STAR® qualified homes. This is a tremendous achievement which is great for home owners and builders!